Handcraft in Italy by skilled artisans, the Pablo bed from the Daytona collection by Signorini & Coco is designed by Leonardo Danielli. Embrace the elegance of the art deco inspired headboard with precious decorative inserts in burnished brass emulating the glamour of the Hollywood era. 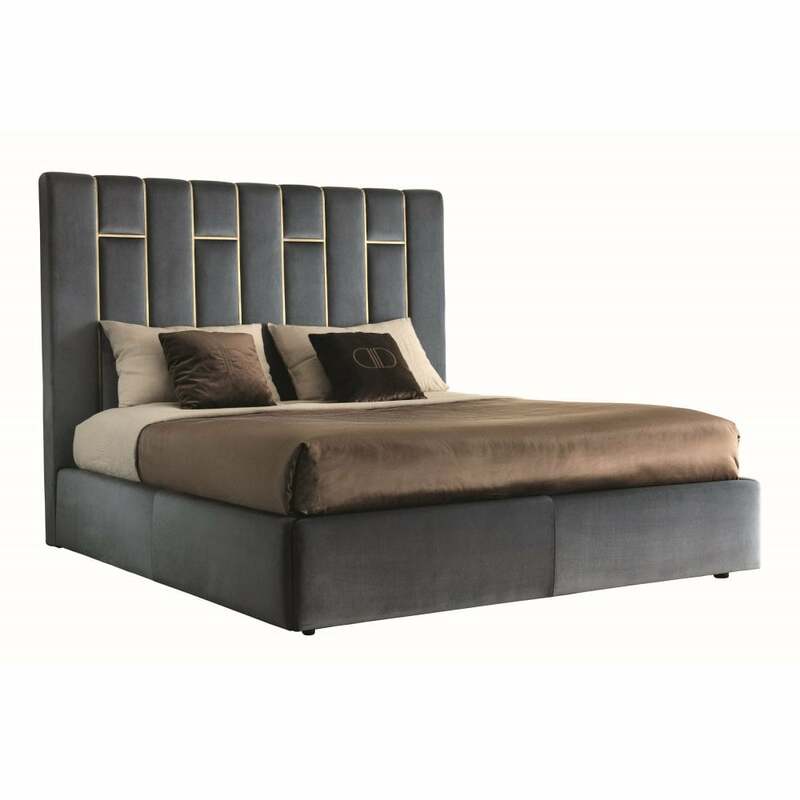 The bed base and headboard can be upholstered in a range of fabric, leather or nubuck leather depending on your interior scheme. Contact us for more information on the bespoke options available.